Home / Cassper Nyovest / DJ Maphorisa / Oskido / Oskido To Intervene In Cassper And DJ Maphorisa’s Twitter Beef! Oskido To Intervene In Cassper And DJ Maphorisa’s Twitter Beef! 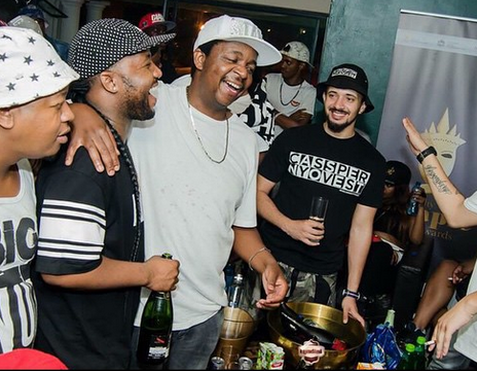 Oskido To Intervene In Cassper And DJ Maphorisa’s Twitter Beef! From AKA and DJ Zinhle to Robert Marawa and Fikile Mbalula, Oskido has become famous for diffusing SA celeb beefs. The music legend has once again come to the rescue in the latest celeb twitter war between DJ Maphorisa and Cassper Nyovest. “It was very out of character and I called him to ask him if we could discuss it when he gets back. We have worked together for many years and I don’t know him to be like this. I see he stopped after we spoke, so maybe that was it,” Oskido told TshisaLIVE. “We have worked together for many years,” he added. This comes after Cassper blocked DJ Maphorisa for saying he didn’t sell 10 million copies.